Was One of George Washington's Generals Intersex? The newest episode of America’s Hidden Stories delves into the mystery. 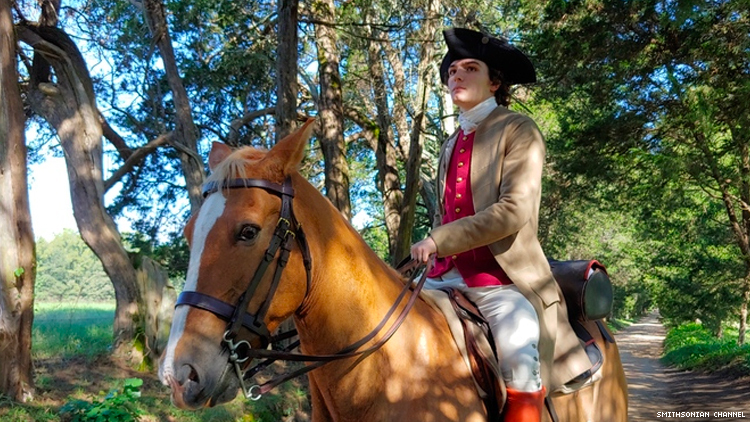 In an upcoming episode of Smithsonian Channel's America’s Hidden Stories, historians and scientists work together to determine if a general who saved George Washington’s life in battle, Casimir Pulaski, was intersex. 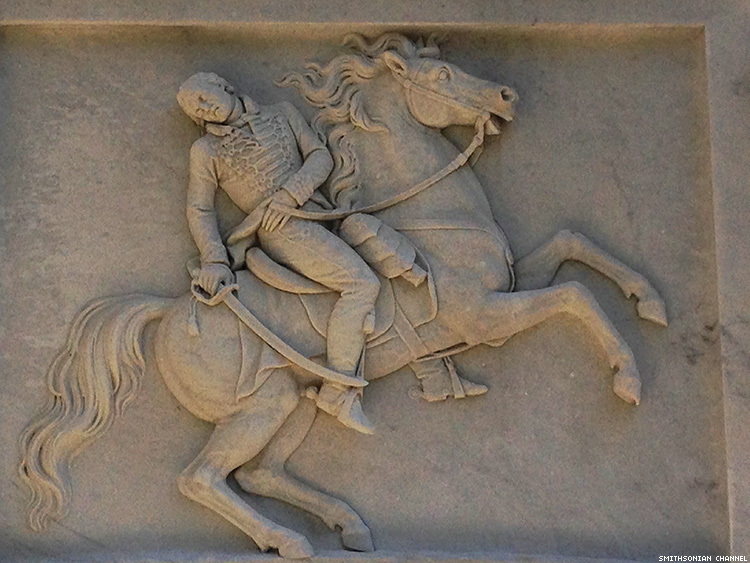 Polish native Pulaski was a brilliant strategist and soldier during the Revolutionary War. He developed his military expertise through childhood training with his father, but he put it to use while fighting against Russian control of Poland. After the uprising failed, he made his way to North America, per the suggestion of Benjamin Franklin, to aid in the war here. Only after saving Washington’s life through precise battle tactics was he recognized as a potential general. He continued to prove himself until his death during the siege of Savannah, Ga., in 1779, even earning the title of the father of the American calvary. Over two centuries later, in 1996, while Pulaski’s monument in Savannah was undergoing repairs, his presumed remains were found buried inside. All the records pointed to the box of bones belonging to Pulaski — except for the distinctly female hip bones. The mystery continued to stump everyone for nearly 20 years. The theory of Pulaski being intersex was discussed, but without the proper technology, researchers were left with the question: Were these the remains Pulaski’s or an unknown woman's? Only recently, with new technology and a team with fresh eyes, was the mystery solved. The new reserachers started by examining the bones for what could have been missed. Each knick and scar on the bones aligned with injuries Pulaski sustained in his lifetime, including the fatal blow to the head in battle. Finally, after comparing the mitochondrial DNA of the mystery remains to DNA samples from Polanski’s great-niece, the results came back a 99 percent match, confirming the bones belonged to the Revolutionary War hero. Thanks to research from 2016, we now know Pulaski was intersex, but no one in his day knew of his identity. He didn't have the language for it either, though there’s evidence that he knew he was different in some way. According to researchers, he always kept to himself and never married. Still, he was described as a leader by example and an incredible soldier. Watch the full episode Monday on the Smithsonian Channel.